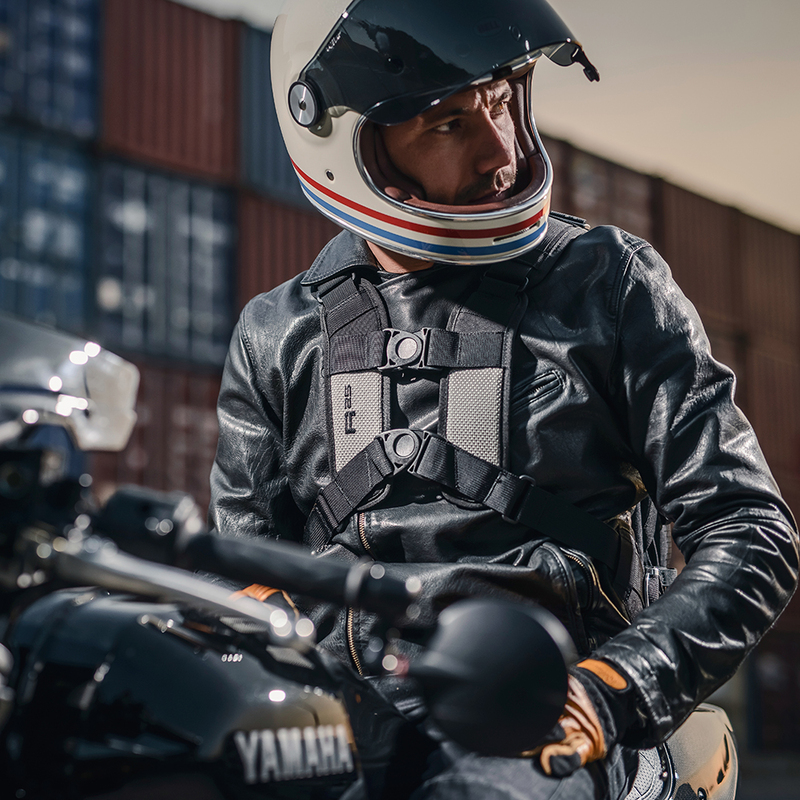 Once adjusted to fit, the harness opens fully making it easy to put on even with bulky riding gear. Best of all, pack weight is transferred to the chest and body reducing fatigue to the shoulders and back. 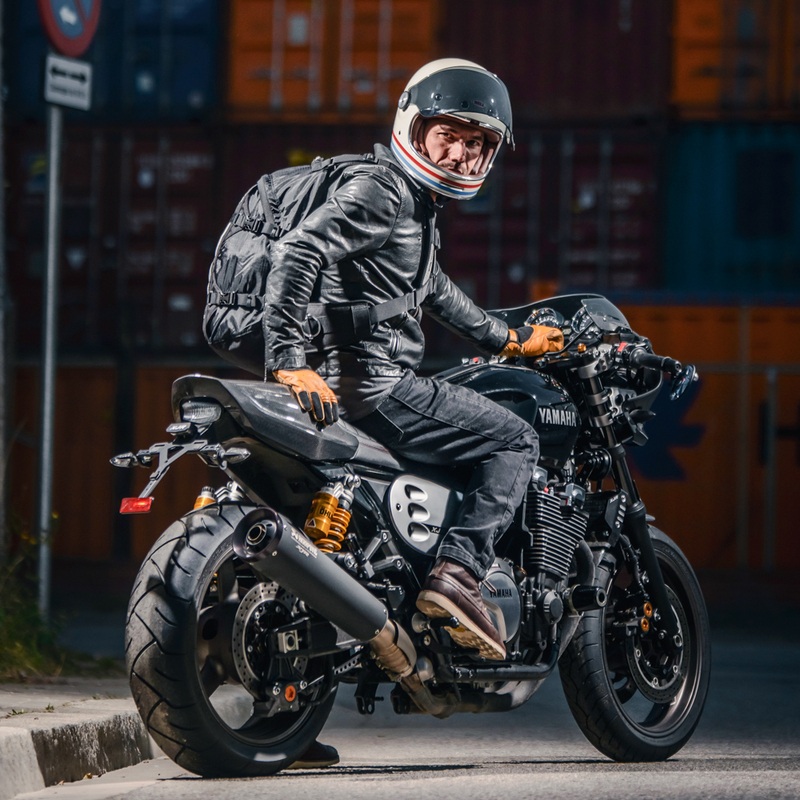 Kriega R25 Backpack is perfect. Thanks. Fantastic piece of kit, fits well with my combination of US 20 X2 US10 as with all kriega kit you get what you pay for. Keep the good work up. This product is just like all other kriega products...... Brilliant!!! This is a well-made and pretty rugged product. The clasps feel really secure, and the pack sits comfortably on the back. Bought it with the harness pocket allowing me to keep keys, cards and change in an easy to access place -- it's an all-round excellent product. Great back pack. Definitely changed the way I travel to work. Fitting and adjustment is spot on for riding and once on you hardly know you are wearing the pack. Had my original R25 for eight years, time for a new one. Best biking rucksack bar none! Comfortable, well constructed and does what it says on the tin! This is my 3rd Kriega backpack, not because they wear out but different sizes. Had an R15 which was not quite big enough so went for the R25 as well in order to hold my camera. They are comfortable to the point I have gone to grab it only to realise it is already on!. They just work and don't seem to wear out. Great investment. Had the r25 for a few weeks now and really noticed the difference between it and a normal rucksack. Helps that it look the dogs too. Top spec bit of kit, definitely recommend it to anyone who's not sure if they need one or not, you won't be disappointed! As advertised, very well made, quality piece of kit. Love the cool parachute harness style with push button release. British at its best. I have recently purchased the R25, the quality of the product is first class and the comfort when fitted is excellent. The technical information on the website is 100% accurate. Communications during shipping and delivery was again brilliant. If you want the best buy Kriega. There is no doubt this pack is a high quality and performance item. Well designed and everything is where you expect it to be. A perfect fit with plenty of options. DO NOT waste time and money trying any other products, go straight to the top with Kriega! When my last bag gave up the ghost there was only ever going to be one port of call. Kriega! As an owner of the US-40, I knew the quality of the brand. My last bag was a £30 job from Aldi, it served me well and I was happy with it over it's 4 years of service. However the R-25 that has replaced it has eclipsed it 10 fold. What a piece of kit, fully loaded you don't even feel it. No sore shoulders or buffeting and the quality was just what I expected it to be! Heavier than I expected, but that doesn't bother at all when wearing it on the back. Adjusting is really easy and very effective. It looks small on the inside, but it can pack a lot. This won't be the most technical review as I bought this as a present for my boyfriend. All I know is that he hasn't shut up since about how much he loves it. He rides to work each day and says that it feels like he hasn't even got a bag on. And unlike his last bag is completely waterproof, recent weather has definitely put that to the test. Bought R25 as present for Son passing A2 motorcycle test. Noticed he always wears small rucksack as a back protector so thought he might as well have the best. Bought slip in back protector to add substance to the product. He's delighted. Could have done with slightly more explicit adjustment instructions, otherwise excellent. Excellent harness system, minimalistic but functional product design. Love it! One suggestion to make it perfect: dual slider main zipper. Thanks. Kriega - Thanks for comments - however it is made like this for a reason. The R25 certainly delivers everything it promises. Sits nicely on the back and is not obtrusive, even when filled with shopping. However fitting a full-face helmet is a bit of a squeeze. I like the fact that it is not overloaded with useless pockets, like so many rucksacks nowadays. Real quality, as reflected in the price. And the chest snap-on attachments are just the job. Received my R25 a few days ago and have been using it daily since. It really fits me perfectly and the straps places the weight on the lower back, which makes riding with this bag absolutely wonderful. Really a great bag! Will definitely get more bags in the future! Took a chance and scored! I was hesitant to spend so much but its worth its weight in gold. I rode 8 hrs on an R6 with it packed to the brim. Didn't even notice it was there.